OSWEGO — The season opener for SUNY Oswego’s Ke-Nekt Chamber Music Series will feature an evening of Johannes Brahms and a return to Central New York for violinist Jeremy Mastrangelo at 7:30 p.m. Sept. 17, in Sheldon Hall ballroom. 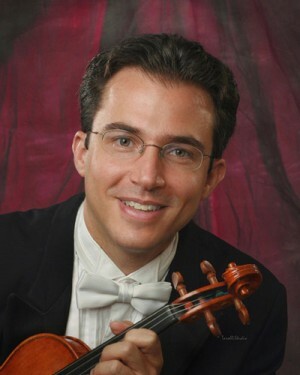 Mastrangelo, a Syracuse native and associate concertmaster with the now-dissolved Syracuse Symphony Orchestra, will offer the three violin sonatas of Brahms, according to Mastrangelo’s host, pianist Juan F. La Manna of the SUNY Oswego music department, who will offer a preconcert talk at 7 that evening. Once, playing a recital with Jeremy Mastrangelo’s older brother, David, La Manna invited Jeremy to join in. Mastrangelo plays regularly as guest principal second violin with Ottawa’s National Arts Centre Orchestra. Frequently a featured soloist with the former Syracuse Symphony from 2001 until the orchestra’s dissolution in 2011, he has been a guest concertmaster with the Kalamazoo Symphony Orchestra, the Omaha Symphony, the Oregon Symphony and the National Ballet of Canada. He was guest associate concertmaster for the National Arts Centre Orchestra’s tour to China, and has been guest concertmaster as well. Tickets for Jeremy Mastrangelo’s Ke-Nekt concert are $15 ($5 for SUNY Oswego students), available at all SUNY Oswego box offices, online at tickets.oswego.edu and by calling 315-312-2141. Patrons needing assistance should call 312-2141 in advance of the performance. Parking is included in the price of a ticket, and is available in the employee and commuter lots across Washington Boulevard from Sheldon Hall. For more information — including video clips and photos — for this and other SUNY Oswego fine arts performances, visit oswego.edu/arts. SUNY Oswego’s Ke-Nekt Chamber Music Series will present violinist and Syracuse native Jeremy Mastrangelo with his host, pianist Juan La Manna of SUNY Oswego’s music department, in a concert featuring Brahms’ violin sonatas at 7:30 p.m. Sept. 17, in Sheldon Hall Ballroom.